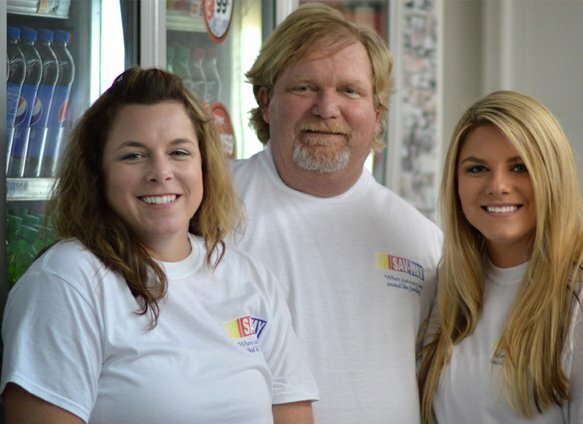 Sav-Way was established in 1994 by Scott Landrum when he purchased his first convenience store location in Simpsonville, SC. Since then the business has grown into a family operated company with eight locations and over 40 employees. 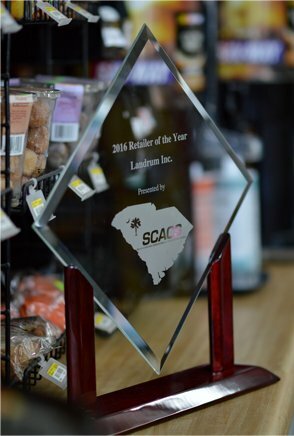 Sav-Way was recently recognized as Retailer of the Year by the South Carolina Association of Convenience Stores. We are truly humbled by this award driving us to push even harder to maintain our commitment to those around us. The goals and objectives of Sav-Way is providing excellent customer service through product availability, competitive pricing, and an overall convenient experience. Thanks to the hard work and dedication of our employees, members of the community who have become loyal customers, and support of family and friends, we are looking forward to a future filled with success. If you haven’t stopped in at one of our locations, please feel free to check us out! Don’t miss out on monthly promotions and stay up to date on upcoming events and activities. Understanding the simple fact customer service is the momentum behind our success is imperative. We genuinely believe Sav-Way is “where customers are treated like family.” As a result, the company is always looking to add enthusiastic, eager, and honest people to our family dynamic. In today’s society you can ride down just about any road and see signs advertising employment. Therefore, there are ample opportunities for those of you to find a job, but Sav-Way is the place where you can find a home also. Please take the time to fill out our online application and let us know what you have to offer Sav-Way and our customers. We value those who work hard and take pride in their accomplishments. It is also important we give back to our community through charity work and customer appreciation events. If Sav-Way sounds like a place you want to become a member, we welcome the chance to work with you. Thanks for your time and consideration! Copyright 2017 Sav-Way. All rights reserved.